Tech-thoughts.net is partnering with Dragonblogger to give readers the opportunity to win a Kingston 64GB USB 3 Drive. Please enter the contest below. You can use the custom share links to increase your odds of winning. 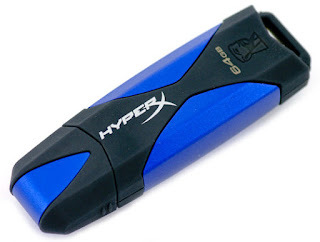 want the new 64GB USB 3.0 Flash drive from Kingston Technology for an additional level of off-site backup storage for all my development work! I would use the 64GB USB 3.0 flash drive from Kingston for extra portable storage for work and school. I would use it for portable storage of all my important files.